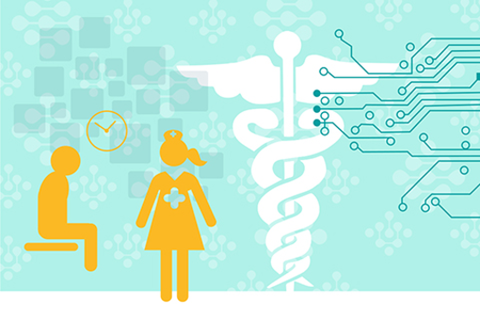 Sensors, apps, and social networks are converging with new expectations to create better care and an improved user experience. 3-D printing and robotics are moving into the mainstream and must be convenient and accessible by user research and design. The empowered patient is increasingly aware that they are to assume a greater role in healthcare but they need tools, strategies, and support to assist them in becoming informed and engaged medical consumers who make a positive impact on the quality of their healthcare. Creating delivery methods for ideas and technologies emerging in academic institutions, research labs, startups, and large organizations, these presenters shape the design of products, services and businesses in the healthcare space. This session will describe the changing dynamics in healthcare innovation: from the technology, to the design of the product, to the design of the business, all toward meeting the needs of patients and the systems in which they interact. Andy Palmer is co-founder and CEO of Data-Tamer. Andy co-founded Data-Tamer with fellow entrepreneur Michael Stonebraker, PhD, adjunct professor at MIT CSAIL, and Ihab Ilyas, University of Waterloo. Data-Tamer was inspired by the research of leading computer scientists whose work was published in the paper “Data Curation at Scale: The Data Tamer System.” Previously, Andy was co-founder and founding CEO of Vertica Systems, a pioneering big data analytics company (acquired by HP). During his career as an entrepreneur, Andy has served as founding investor, BOD member or advisor to more than 40 start-up companies. He also served as Global Head of Software Engineering and Architecture at Novartis Institutes for BioMedical Research (NIBR) and as a member of the start-up team and Senior Vice President of Operations and CIO at Infinity Pharmaceuticals (NASDAQ: INFI). He earned undergraduate degrees in English, history and computer science from Bowdoin College, and an MBA from the Tuck School of Business at Dartmouth. As a lateral-thinking designer and strategist, Scott Stropkay is building answers to some of the most compelling questions of our day. Founding partner of the design consulting firm Essential, Scott helps businesses create physical products, digital products, and services in the consumer, healthcare, and commercial markets. He leads teams of researchers, designers, and engineers to build better discovery processes, define opportunities, and leverage design-thinking skills. Scott’s work informs strategies and development for clients including Mayo Clinic, iRobot, Genentech, Becton Dickinson, WellDoc, Healthways, and Philips Healthcare. He has worked in both corporate and consulting design capacities for over 25 years. He speaks at design and innovation conferences as well as academic institutions. Prior to Essential, Scott led an integrated design, human factors, and interaction design team at IDEO. He was also a Director of Design at Gillette and a Director of Design at Fitch. He holds a Bachelor’s of Fine Art in Industrial Design from The Cleveland Institute of Art. He serves on the board of advisors of the Design Management Institute and writes for Innovation Magazine, the journal of the Industrial Designers Society of America and the Design Management Journal.